Come and experience the authentic tastes and flavours of the food of Emilia Romagna. This full day workshop provides you with the opportunity to delve into the world of sourdough bread making. Learn how to make Pizza the traditional Italian way. Learn to make those most famous of Italian pasta from scratch, including Lasagne, Tagliatelle and Tortelloni. Discover the wines of the Colli Bolognesi, loved by locals and award-winning chefs alike. The Yummy Italy logo stems from this cultural classic – the Tigella – a traditional stone-baked Emilian bread that dates back hundreds of years. A unique opportunity to create a bespoke cooking experience according to what you wish to learn. You choose the theme/dishes and we will choose the right chef for you to learn and perfect your skills. 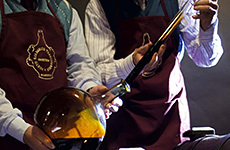 A tradition that dates back to Roman times and unique insight into how the Traditional Aceto Balsamico is made, including 12 years of patience. Visit vineyards, wine producers and historic sites in Bologna in our superb wine tour. Learn how to make some of Emilia Romagna’s most famous breads, eaten with the finest and most delicious of D.O.P. 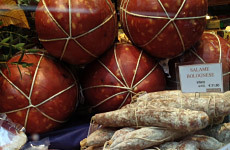 products such as Prosciutto di Parma and Pecorino cheeses. Bologna is the food capital of Italy. Come on a journey of the senses, walking through this beautiful medieval town to discover the finest foods and manifold flavours that the area offers. Come and learn the traditional recipes and culinary practices that have been handed down through the generations, from handmade pasta to Bolognese Ragù. Into the forests of the Bolognese Appenines with a truffle-hunter and his dog to search for these rare and highly-prized delicacies. 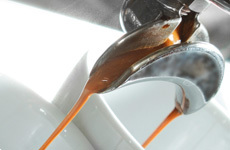 Learn how to taste and make espresso, cappuccino and other coffees and become a barista. 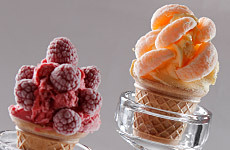 YUMMY ITALY: Your definitive Emilia Romagna food and wine experts. Welcome to Emilia Romagna, the world capital of food, with the highest concentration of certified PDO and PGI products of any other region in the world. Yummy Italy was created to share our passion for Italian and, more specifically, Emilian culinary authenticity with those who take a serious interest in food and wine. Our experiences appeal to those who choose to travel independently, don't want to feel like a tourist and prefer a more personal approach to discovering the culinary wonders of the region. We also organise food and wine focused events for more discerning corporate clients. We work together with the region’s finest chefs and artisan producers who, wherever possible, promote organic and sustainable farming and production methods to provide guests with an insider view of the delights and the secrets of Emilian cuisine and its iconic dishes and products that are renowned the world over. It is these people and the love for their land, animals and product who inspire us on a daily basis. Yummy Italy is run by a qualified Sommelier, Traditional Balsamic Vinegar and National Cheese Taster, Italian food expert and food & wine educator, offering private courses, experiences, eatineraries and food consulting services for professional lovers of food...and food professionals (chefs, food buyers, consultants and restaurant or deli owners). Our aim is to bring people together to create unique and unforgettable experiences as well as events, establishing a true gastronomic dialogue between our guests, chefs, wine-makers and artisan producers. We also have extensive experience working with VIPs and can organise culinary experiences and events with utmost confidentiality. Check out our Social Media pages (click right) to see what we are up to on a daily basis. Great British Chefs magazine www.greatbritishchefs.com said about us: “Helena at Yummy Italy gave us access to some amazing producers we would never have known how to find via mainstream channels. Her expert knowledge of the forty-plus PDO and IGP products in Emilia Romagna and of the wines of the region are second to none and her contact list is invaluable”. Welcome to Emilia Romagna. Welcome to Yummy Italy. "A heartfelt thank you, Helena, for organising a truly memorable weekend for my husband and myself. We enjoyed every aspect of the 5* Gastronomy Experience. Non of this would have been possible without your organisation, but what made it really special was your personal touch." "Thank you once again VERY much for looking after us on our trip and for organising everything so perfectly. We spent a fantastic two days. The wives were also happy….which is the most important thing. Once again, thank you, thank you." "I am so glad you persuaded us to join in the cooking classes as they were great fun. We learnt so much about the food of Emilia Romagna, especially about the Balsamic Vinegars. I will never look at a bottle at the supermarket in the same way again. Thanks for making it a perfect couple of days for us. " "On behalf of the group, I would like to thank you so much for organising a most fascinating, instructive and creative day. The day truffle hunting and cooking with truffles was very interesting and now we can really appreciate why truffles are so costly. Thanks for sharing your knowledge with us, Helena, we are so much ‘gastronomically’ richer for the experience." "You have no idea how wonderful it was to surprise my wife with the 5* Gastronomy Experience and how thrilled she was with this kind of ‘full immersion’ into the food of Emilia. The organisation of all the activities was more than professional, because there was always some small detail and a personal touch that was prevalent throughout." "An incredible experience all round! I had never heard of the Bologna wines, but I have to say they are a wonderful discovery.I have ordered 4 cases of Pignoletto from the wine cellar we visited and I really look forward to opening them and sharing them at my birthday party shortly." "The Emilia experience was a rare treat. Your knowledge of the foods, products and wines of the region as well as your passion and enthusiasm are praiseworthy, Helena. The whole experience was truly unique." "We just wanted to say how much fun we had doing the Classic Emilia cooking course and also wanted to thank you for organising everything, down to the last detail, with such short notice. We really learnt some amazing recipes and my Bolognese sauce or ‘Ragù’ has taken on a whole new lease of life." "We wanted to thank you for making us make feel unique and special during our two day stay in the Bologna hills. We learnt so much about the foods and products of the region and your knowledge is never-ending, but most of all, the attention to your guests is very personal and we felt truly spoilt. We are getting older, so don’t know if another European trip is on the cards, but we will certainly spread the ‘Yummy Italy’ word among our friends." "On behalf of my group, thank you a hundred times for the perfect days we spent in Bologna and Modena. Driving the Ferraris into the hills was an exhilarating experience, eating the amazing food and (for those not driving) tasting the really delicious wines was wonderful. See you soon!" "Just to say how interesting the ‘Taste of Yummy Bologna’ walking tour was. It is years of knowledge packed into a day. Who knew that delicious pasta could be inspired by Venus’ navel and golden hair? The secret of Neptune in Piazza Maggiore was really funny too. Seriously though, this one day tour is a true full immersion into the best food in Emilia Romagna. Worth every penny and definitely a reason to come back. Thank you." "My colleagues and I are all self-confessed wine snobs, but we were so glad you persuaded us to explore and taste the local wines. They were surprisingly good and should definitely get more publicity. Thank you so much for organising the Parmesan and Balsamic Vinegar visits too and the food tastings with the wine. The Balsamic, above all, was a true revelation for all of us!" "We are now totally hooked on truffles. What an awesome experience! Gianluca, the truffle hunter was so friendly and his wonderful dogs were so cute and brilliantly trained. I’m so glad that we managed to find some truffles too. Thank you for explaining everything so thoroughly. We’ll be back to learn to cook with them soon! "